Turkey Cranberry Rollups are the tastiest way to use up all that leftover turkey from Thanksgiving and Christmas! They are a little sweet, a little savory, and over the top yummy! For the past couple years we have been traveling for Thanksgiving. Of course it’s always fun to visit grandma and grandpa, cousins, aunts and uncles over the holidays. Well, most of the time it’s fun! I have to admit though, there are a few major problems with not being home for Thanksgiving. There are NO LEFTOVERS when we eat Thanksgiving somewhere else! Apparently there are people in the world that can’t stand leftovers. What? Thank goodness none of my boys feel that way because we survive on leftovers! Seriously! Thanksgiving leftovers are the ultimate when it comes to leftovers! Way better than leftover meatloaf right? Well today I’m excited to share my Turkey Cranberry Rollups recipe with you! It’s a no bake, no fuss, super easy, and incredibly tasty way to recreate your leftovers! 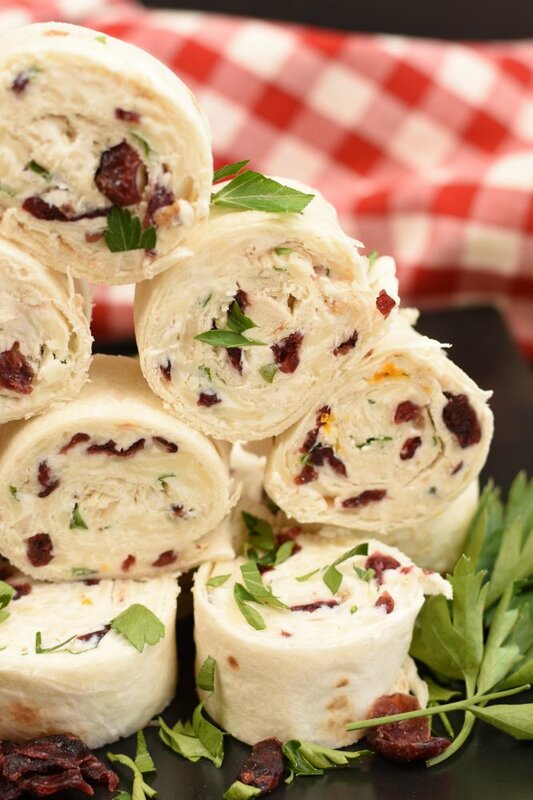 There are lots of fun options for adding different flavors to Turkey Cranberry Rollups. Add a little orange zest, walnuts, blue cheese, or sliced scallions! Make them your own by adding your favorites! Orange zest is fantastic, just saying! Trust me, these are so yummy I doubt even the pickiest leftover eaters won’t even notice they are eating leftovers! Most years we go to the mountains and cut a Christmas tree down the day after Thanksgiving. By the time we get home we are usually starving! Hello Turkey Cranberry Rollups! Since they can be made ahead of time all we have to do is get them out of the fridge and start munching! I told you leftovers can be a lifesaver! Anyone else like to park their rear end in front of the TV throughout the holidays and watch some football? 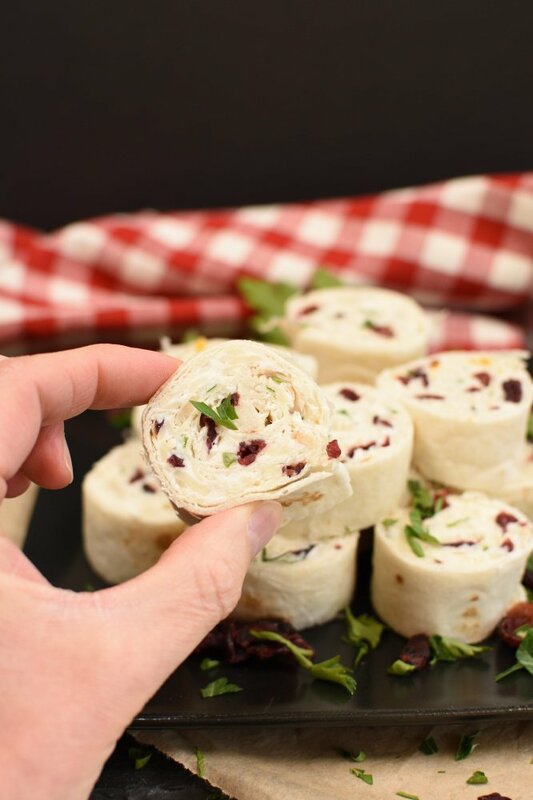 Turkey Cranberry Rollups are the perfect addition to the rest of the finger foods you love munching on! I really think you guys are going to love this recipe! I already know you love Rollups (Jalapeno Popper Rollups, Pizza Rollups). 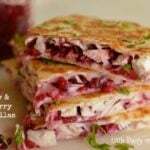 I’m pretty sure you like recipes for using leftover turkey because you love my Cranberry Turkey Quesadillas and Turkey Cranberry Sliders! And I am positive you love easy recipes and this one is definitely easy! 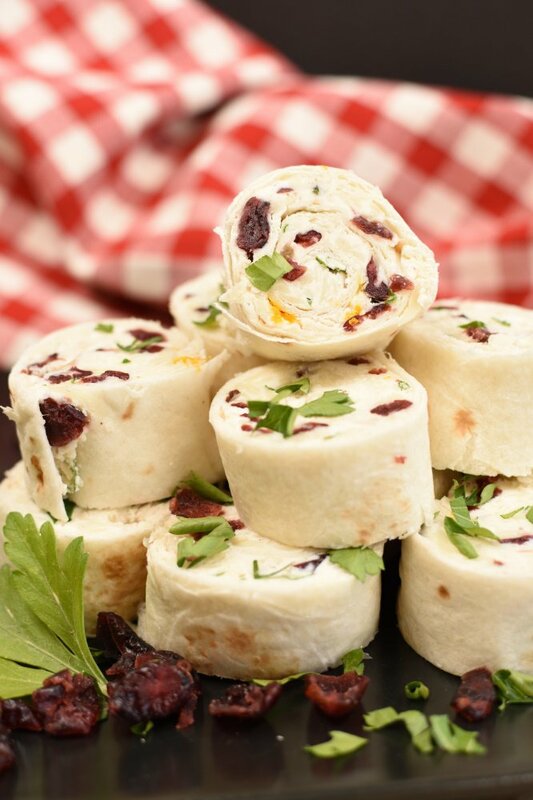 Rollups are so much fun to add to lunches (yay for an alternative to PB&J), they are great for an on the go lunch, awesome finger foods for parties, and fit right in for tailgating! If you are anything like me you will find yourself in the kitchen plenty throughout the holidays! 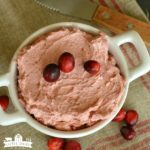 If you need a quick and easy recipe to get you out of the kitchen in a hurry Turkey Cranberry Rollups are so easy you can make them in no time and get on with your day! Turkey Cranberry Rollups are easy to make, fun to eat, and is a great way to use up holiday leftovers! Trust me, know body complains about leftovers when they look, and taste, like this! 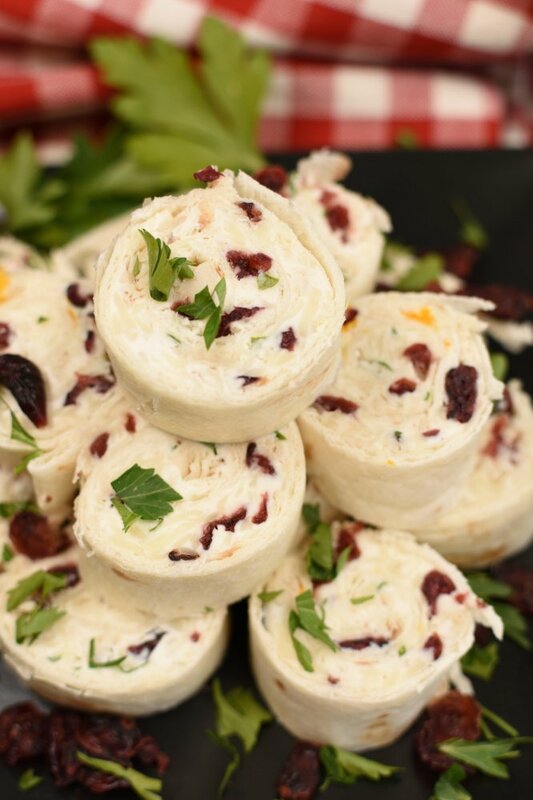 Mix cream cheese, turkey, cranberries, parsley and cheese together until combined. Lay tortillas out flat. Spread ¼ of the turkey mixture over each tortilla. Roll up tightly. Roll them jelly roll style. There are lots of options for adding different flavors into these rollups! They are delicious with grated orange zest, sliced scallions, blue cheese, or pecans! Amy these are fantastic! I wish I had a plate of them for lunch right now – so pretty and delicious flavors too! I get so excited for all of the leftover possibilities. This looks amazing! 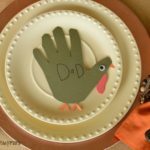 My husband insists on hosting Thanksgiving and it’s only because we get the leftovers, haha! I’m excited to try these with them. Honestly, I love anything with cranberry!! You just can’t beat having all those leftovers the next day! And yes, anything cranberry! I love the leftovers about as much as I love the turkey the first time!